The Los Angeles Times reported yesterday that the average starting salary of graduates from the South Dakota School of Mines and Technology is more than the average for Harvard graduates. This seems shocking on the surface but to those in the mining industry, it's business as usual. The shortage of mining professionals, engineers, metallurgists and geologists has driven up salaries across the industry. The average starting salary for SDSMT graduates listed by the LA Times ($56,700) even seems a little low for the market today. There was a big boom in the number of mining professionals and job opportunities created by the Carter administration. The decreased mineral production and the energy crisis during the late 1970's created a big demand for engineers and geologists in the early 80's. Following this boom, demand for mining professionals faded to the point where there was almost no influx of new personnel into the industry. Take a look at the engineers and geologists in any mining company in the world and count how many employees you see between the ages of 35 and 55. There is an almost complete lack of bodies to fill this interval. Recently there has been in increase in demand for and personnel in mining and geology. The increase in available mining professionals has not kept up with demand and the price for salaries has gone up accordingly. The Export to ASCII functionality allows the Maptek Vulcan user to export points from objects. The user can even export in CSV format. 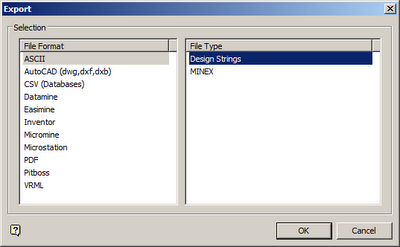 A question came up today about the File > Export > ASCII > Design Strings option in Maptek Vulcan. This is a useful option that you don’t know you want until you need it. The problem is that when you actually do need it, you’ve never heard about it. Hopefully, this post will help some people to know how to export to a CSV file from Vulcan before crisis strikes. The scenario that I encountered today was simple: points had been imported into Vulcan from a CSV file (well collar locations), converted from mine coordinates to UTM and now the point coordinates needed to be added back to the original CSV file as the converted UTM coordinates. If there had been just a few points it would have been no big deal to simply type in the coordinate data to the CSV file in Microsoft Excel. For a larger number of points we want a function that will export data in a manner similar to how we imported the data. The first bit of confusion when exporting points to CSV format is that everyone wants to use the 'CSV (Database)' File Format. This seems like the logical choice. We are attempting to export data from the design database to CSV format. Why isn’t this the best solution? In Vulcan nomenclature, the import and export CSV options refer to Isis databases i.e. 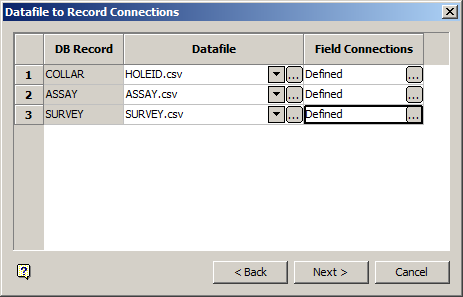 drillhole/composite databases. If you want to export CAD data, use the ASCII export option. Select File > Export from the Vulcan menu. 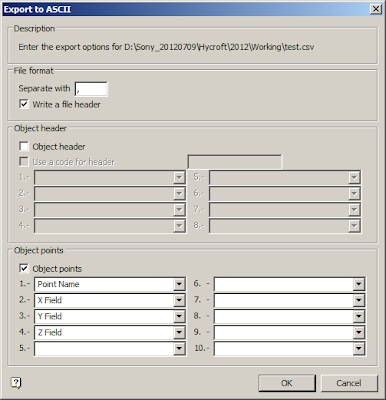 In the Export panel select ASCII as the file format and Design Strings as the File Type. Use the 'ASCII' File Format to export CAD points from Vulcan objects. The first 'Export to ASCII' panel allows the user to specify a CSV file type and the name of the resulting file. Description: This section is purely informational, it lists the file name and extension for the export results. File format: Specify the separating character. Typically a comma, although sometimes we use a ‘tab’ character if importing into an .xls or .xlsx file type. Use the characters '\T' to specify tab. 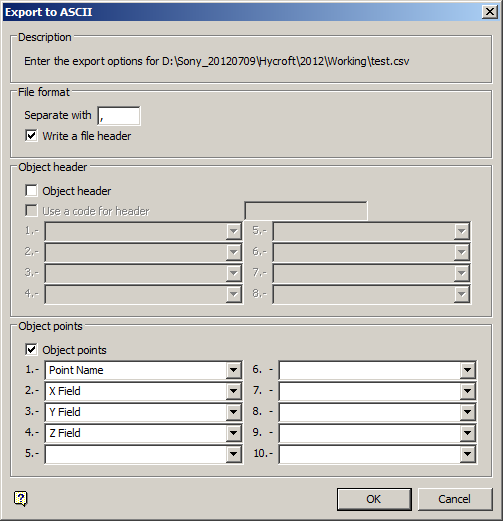 Check the box ‘Write a file header.’ This will add a header line in the export file. If this box is not checked, the resulting CSV file will not have any information on which column is which. 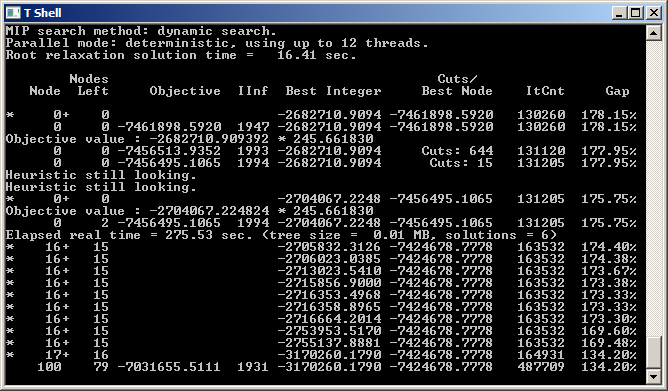 Object header: Vulcan has the capability to add a line of header for the points in each object being exported. It has been my experience that if I am exporting more than one object at a time, Export > ASCII is not the way to do it. The CSV file for multiple objects gets really confusing really quickly. Don’t do it. Object points: This is the meat of the panel. Select the fields you want to populate in the CSV export. X, Y and Z fields are specified by default. I like to use Point Name instead of Point Number so that the points are more easily identifiable. The second 'Export to ASCII' panel specifies which fields will be populated in the resulting export file. Click ‘OK’ and select the data to export. Click ‘OK’ when Envisage tells you how many points have been exported and again when it tells you that the file has been successfully created. Click ‘Cancel’ to exit the Export panel and take a look at the file you have created. In this format you can easily copy and paste the translated well coordinates to the original CSV file. Peabody Energy Corporation recently announced the retirement of its President - Americas, Richard A. Navarre. Richard worked for Peabody for 19 years. His stint as President of Peabody Americas lasted from March to July 2012. Navarre retired for personal reasons and is succeeded as acting President of Peabody Americas by Charles Meintjes. As part of the separation agreement Navarre will consult for the company for a maximum of 6 days a month for the rest of the year. For these exhaustive services he will be paid the sum of $30,000/month. Payments are due to him for September - December for a total of $120,000. This is on top of a lump sum severance payment of $630,000 and 41,356 vesting shares of company stock worth about $895,000. I have to say that, if Peabody Energy ever needs someone else for the President - Americas role, or even just for consulting services ($120,000 for 24 days of work) I know someone who would be happy to fill in.